In May of 2009, one our brothers — Cameron Chana of Eastern Illinois University, was tragically killed in a bus accident. Though Cameron’s life ended, his story continues through the awesome gift of organ, eye and tissue donation. Today, six people are alive because of his decision to give life and hope to others. 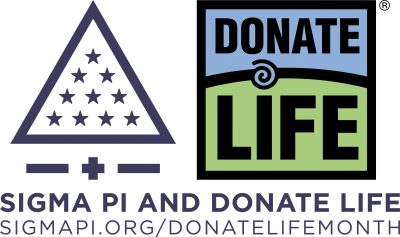 In honor of Cameron, Sigma Pi has partnered with Donate Life America to encourage all Sigma Pi members to REGISTER or REAFFIRM their decision to save lives through organ and tissue donation and to encourage all people they come in contact with to do the same. You can make a tremendous difference in the life of all of the men, women and children awaiting organ transplants and the hundreds of thousands more in need of tissue and cornea transplants.